Greek pita are tender and fluffy and don't make a pocket like Arab-style pita. They're fine made ahead and rewarmed to eat, but when fresh off the grill, they're ethereal. This recipe comes from Souvla, the spit-roasted meat restaurants in San Francisco. The pita are delicious with Souvla's grilled pork souvlaki--or any other grilled meat or vegetables. Put 3 3/4 cups flour on a countertop or in a large bowl, make a well in the center, and sprinkle flour with 1 1/2 tsp. salt. Fill a separate bowl or glass mea­suring cup with 1 1/2 cups warm (105° to 115°) water and evenly sprinkle with yeast, then whisk in yeast. Whisk in 1 1/2 tbsp. oil and the honey. Slowly pour liquid into well, mixing in flour from sides, until dough comes together in a shaggy mass. Put dough in bowl of a stand mixer and mix with dough hook until smooth and stretchy, about 10 minutes. Or, knead dough on a lightly floured surface (or in bowl set on a nonskid surface), sprinkling with just enough extra flour to keep it from sticking (using too much flour will toughen the bread). Put dough in a large oiled bowl (about twice the size of dough), turn to coat, and let rise in a warm room-temperature place, covered, until doubled in size, 45 minutes to 1 hour. Cut dough into 6 equal pieces or turn out onto a floured surface and cut into 6 equal wedges. Form into balls, brush with oil, and let sit, covered with plastic wrap or a kitchen towel, 15 to 20 minutes so gluten can relax. 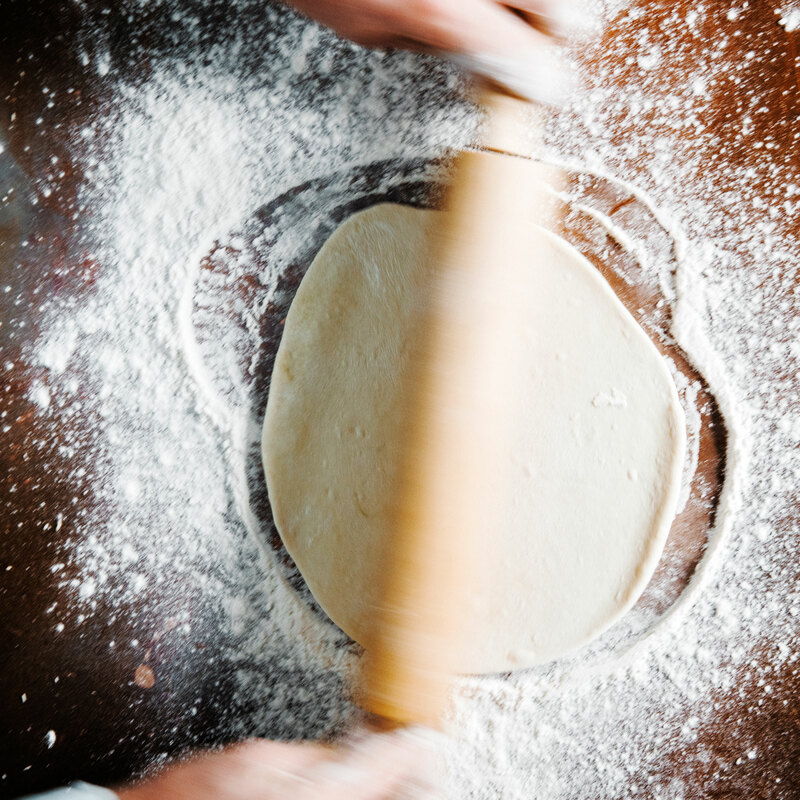 With a floured rolling pin, roll balls into 8-in. rounds. Brush each with a bit of oil (including on edges and sides) and sprinkle with a little oregano and salt, stacking them on a baking sheet as you go. You can either grill immedi­ately or let sit up to 30 minutes at room temperature, covered with a kitchen towel. To grill pita, invert as many as will fit on cooking grate, oiled side down. (They'll stretch out a little, but that's okay.) Grill until bubbled on top and light golden brown underneath (don't overcook or they'll be tough), then turn over and cook until lightly browned on other side, 1 1/2 to 3 minutes. Lift to a rimmed baking sheet as done and cover with a kitchen towel to keep warm. If needed, rewarm on grill before eating. Make ahead: Fully baked, up to 2 days, chilled; rewarm before eating. Frozen, up to 3 months.